There are plenty of Apache Performance Optimization things to do on a new server. However many sysadmins miss .htaccess mod_rewrite rules whole optimization often leads to a dramatic performance benefits and low webserver responce time, making website much more attractive for both Search Engine Crawlers and End User experience. It is also not uncommon practice to enable .htaccess files to make programmers life easier (allowing the coder to add and remove URL rewrite rules that makes URL pretty and SEO friendly, handle website redirection or gives live to the framework like it is the case with Zend PHP Framework). However though having the possibility to get the advantages of dynamically using .htaccess inside site DocRoot or site's subdirectories is great for developers it is not a very good idea to have the .htaccess turned on Production server environment. switched on for a directory in order to have .htaccess enabled, makes the webserver lookup for .htaccess file and re-read its content dynamically on each client request. This has a negative influence on overall server performance and makes Apache preforked childs or workers (in case of mpm-worker engine used) to waste time parsing .htaccess file leading to slower request processing. And VirtualHost configured to keep permanently loaded mod_rewrite .htaccess rules in memory on Apache server start-up. Now CMS uses the previous .htaccess rules just as before, however to put more rewrite rules into the file you will need to restart webserver which is a downside of using rewrite rules through the Include directive. Using the Include directive instead of AllowOverride leads to 7 to 10% faster individual page loads. I have to mention Include directive though faster has a security downside because .htaccess files loaded with Include option (uses mod_include) via httpd.conf doesn't recognize <Directory> … </Directory> set security rules. Also including .htaccess from configuration on Main Website directory, could make any other sub-directories .htaccess Deny / Allow access rules invalid and this could expose site to security risk. Another security downside is because Include variable allows loading a full subset of Apache directives (including) loading other Apache configuration files (for example you can even override Virtualsthost pre-set directives such as ErrorLog, ScriptAlias etc.) and not only .htaccess standard directives allowed by AllowOverride All. This gives a potential website attacker who gains write permissions over the included /var/www/website/.htaccess access to this full set of VirtualHost directives and not only .htaccess standard allowed. Nowdays most of my new (fresh) Linux server configurations are installed with Debian Linux. Through the years I worked with most major GNU / Linux distributions. Though intalling Apache for multiple domain VirtualHost-ing is almost equally easier to set up on all distros I tried, (Slackware, Redhat, Fedora) etc., I found Debian to be most convenient in terms of freqeuent easy updates and general security. Every time I configure a new host which is supposed to host a dozen of websites with Apache webserver and a DB backend, it is of course necessery to enable the server to have support multiple domain VirtualHosts. I thought there are people out who look to configure Multiple domains on fresh installed Apache webserver and this how this short post get born. I will explain hereby in short how I configure VirtualHosts on new Debian Linux servers with fresh installed Apache. This would install all packages necessery for VirtualHost-ing. After apache2 installed the system should have at least this packages present. Nowadays, having enabled mod_rewrite is necessery in almost any website, so the next thing I usually do is enable mod_rewrite webserver module. By default there is an index.html page containing the annoying phrase It Works! ServerName and ServerAlias variables as well as change DocumentRoot to whatever the default server host Virtualhost directory will be. b) Virtualhost port_number (Virtualhost 80, VirtualHost 90) etc. If a host is configured with directive <VirtualHost *>, this means it will listen for incoming connections on any port Apache is configured to listen on, whether if used with a concrete port number it will only enable VirtualHosts for whole Apache server on the concrete port. The same steps has to go for all domain names in separate files except the variable NameVirtualHost * should not be added in the rest of new created Vhosts. Many of the new configured Debian + Apache servers does not require support for SSL, therefore where SSL support is not necessery I prefer disabling it. The line *:* is a NameVirtualHost, means the Apache VirtualHosts module will be able to use Virtualhosts listening on any IP address (configured on the host), on any port configured for the respective Virtualhost to listen on. port * namevhost exampleserver2.com (/etc/apache2/sites-enabled/000-default Shows requests to the domain on any port will be accepted (port *) by the webserver as well as indicates the <VirtualHost> in the file /etc/apache2/sites-enabled/000-default:2 is defined on line 2 (e.g. :2). On Fedora and the other Redhat Linux distributions, the apache2ctl -S should be displaying the enabled Virtualhosts. One might wonder, what might be the reason for someone to want to check the VirtualHosts which are loaded by the Apache server, since this could be also checked if one reviews Apache / Apache2’s config file. Well the main advantage is that checking directly into the file might sometimes take more time, especially if the file contains thousands of similar named virtual host domains. Another time using the -S option is better would be if some enabled VirtualHost in a config file seems to not be accessible. 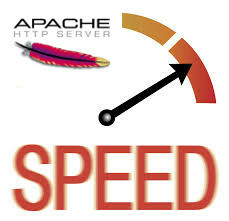 Checking directly if Apache has properly loaded the VirtualHost directives ensures, there is no problem with loading the VirtualHost. Another scenario is if there are multiple Apache config files / installs located on the system and you’re unsure which one to check for the exact list of Virtual domains loaded. Before we start it might be a good idea to check out apache-mpm-itkâ€™s officialhomepage to get a general idea of what apache mpm-itk is. In order to configure Apache-MPM-ITK we have to do it for each of the configuredVirtualHosts, e.g. no global options are required. There is only one configuration Directive that has to be included in each and every Virtualhost configured in your Apache. This is the AssignUserId and takes two parameter, (user name and group name), this are the user name andgroup name that the files on the specified virtualhosts will be executed as. 3. Here is an example on how to configure it for the default Apache virtualhost and the â€œexampleâ€ user and group id. 4. Last step is to restart Apache for the new VirtualHost configuration to be preloaded. Guess what, All was perfectly fine there as well. The command returned, my webserver configured VirtualHosts as enabled (linked) in: /etc/apache2/sites-enabled I took some time to ask in irc.freenode.net #debian channel if somebody has encountered the same weirdness, but unfortunately noobody could help there. I thinked over and over the problem and I started experimenting with various stuff in configurations until I got the problem. Itâ€™s really odd because enabling the directive as NameVirtualHost *:80 would report a warning just like there are more than one NameVirtualHost variable in configuration, on the other hand completely removing it wonâ€™t report any warnings during Apache start/restart but same time VirtualHosts would still be non-working. This error is caused by duplicate NameVirtualHost entries. In my case in Debian. was mentioned twice in my overall Apache configuration files. I should note that this is just a warning so Apache will be working just fine, even when the error appears on Apache start-up. apache port a really annoying problem appears. adequately tracking visitors countries and their networks. IPs to the apache log I had to follow instructions described in. the solution as explained in the FAQ on my FreeBSD.